​of the Alberta Fitness Leadership Certification Association (AFLCA), she is also an AFLCA Trainer of Trainers, a Certified Fitness Trainer Examiner, and Personal Trainer. 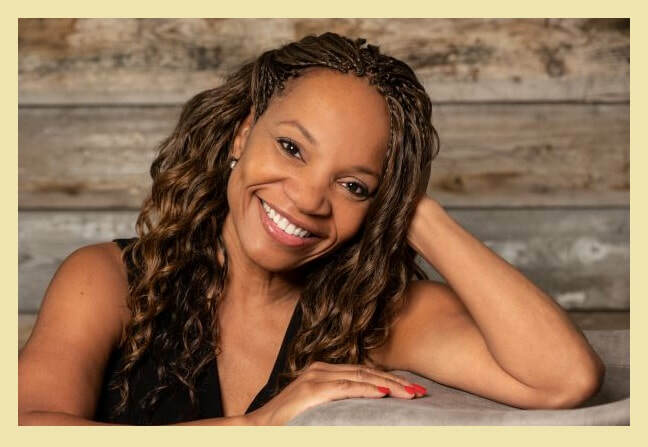 She has authored and co-authored several fitness certification manuals and has published numerous academic peer-reviewed papers including an academic book (Body Satisfaction & Healthy Behaviors in Obese African American Women). Dr. Tennant has been interviewed both for television and print. She has presented at international academic conferences, is a reviewer for several academic journals and teaches Psychology of Exercise, Exercise Physiology, and Special Populations: Older Adult in the Personal Training Diploma program at one of her local universities. Through her consulting firm, Dr. Tennant’s mission is to improve her clients’ quality of life through evidence-based sustainable physical activity programs and appropriate nutrition. From what you've just read, it's clear that I have many years of education behind me. I love to read; I love to learn. I’ve always been intrigued by human behavior, not only in the field of health, fitness, and wellness (exercise, weight management, and healthy eating) but also in the field of psychology. Self-improvement and personal growth have always been high on my list of things for which to strive. I am ENTJ; thus it's not a surprise that my extrovert side loves being in front of people, whether in a fitness class or at an international conference. But, don’t let that fool you The more I learn, the more I realize I know nothing. Being proficient in one’s field of study does not make you relationship-savvy. I am no different than the average woman when it comes to relationships. 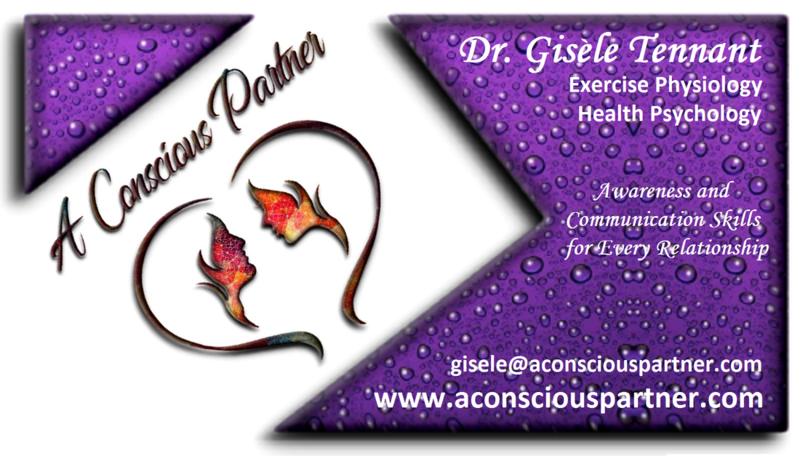 I have always wanted to be a conscious partner and to be in a conscious relationship. I’ve learned that no amount of academic knowledge will help your relationship if you don’t have the appropriate tools to work with and if you get complacent and accept the status quo, walking through life unconsciously. A relationship is a two-way street, and I often found myself walking down a one-way lane. Like many of you, through the pressure of life’s events and a lot of hurt, my marriage of 28 years crumbled. Given I can only change myself, I had to take a good look in the mirror. Grieving the fantasy of the “perfect life,” the past years have been filled with panic attacks…(what do I do now? I’d been in a relationship for half my life)…, self-discovery (I’m stronger than I think), and purging (letting go of my past; still working on that one). I knew I was not alone in my struggles. For sure, other women were also going through some of the things I was experiencing? Over the years, I had journaled my thoughts, my fears, and my struggles. Some of my friends suggested I write a book. I started…many times, but the fear of exposing my life for the world to see didn’t sit right with me. Like many of you, I had a fear of being judged and wanted to protect my relationship, as bad as it had become. I still have trouble talking about myself. I was so used to putting everyone else first. Sounds familiar? Luckily, when you are ready to learn, you will learn. When I got the opportunity to contribute to personal growth information that could be easily adopted and adapted to one’s life I jumped in with both feet. I got excited. I was excited about sharing information I gathered while trying to find answers (whether through counseling or reading). Information such as one’s Attachment Style (what an eye opener that was for me over three years ago). Although I have a secure attachment style, I can move to the anxious side when in limbo. I do not do well with uncertainty... and to know the other person’s attachment style explained a lot of the issues with which we struggled. What I like about this site is that we have presented the information and explained it in non-clinical terms. Don’t get me wrong, a clinical approach has its merits, but it was not our goal, nor do we profess to be experts. We wanted a one-stop shop to help men and women navigate the ups and downs of their relationships. I wish I had had access to such a resource in my twenties. I hope to give you a woman's perspective, share my experiences, insights, and lessons I’ve learned along the way (I am still learning). Whether you are single, in a relationship, separated, divorcing, looking for a partner to share your life or simply curious about what is a conscious relationship, I hope you will join us on this journey of self-discovery. It will be fun, informative, and transformative!